FIC asset department provides equity asset management that is specifically tailored to its clients needs. Clients risk levels are combined with the clients objectives to provide a portfolio that meets the specific needs to its clients. Fundamental and technical screening of the markets and the leading stocks are performed periodically to provide our clients with the best available stocks for investments and trading purposes. We actively seeks a balanced investment strategy and respond to changes in financial markets to meet our client risk tolerance and objectives . We follow a professional approach to meet our Clients’ needs and requirements .Our products are tailored to our clients' investment style and risk tolerance. Evaluating Islamic complied stocks in GCC countries is done on quarterly basis, as performance and financial reports are the main tools in the selection. Portfolios are created on a basis that is corresponding with the client's expectations of returns with the risk associated ratio. Above is an example of regional distribution for asset management. •	Offers innovative investment solutions that meet the needs of our clients. • Asset Management Department distributes investments in order to achieve the highest profitability and the least risk possible. • The portfolios consists of long and short term investments. The decision to buy or sell is based on technical analysis of the stock and its market. 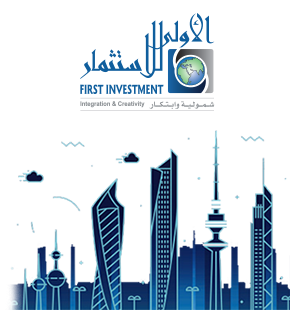 First Investment Company (FIC) was established in 1997. It is one of Kuwait's leading investment firms with approximately $ 1.3 billion in assets under management. Copyright © First Investment Company (FIC) 2016. All rights reserved.